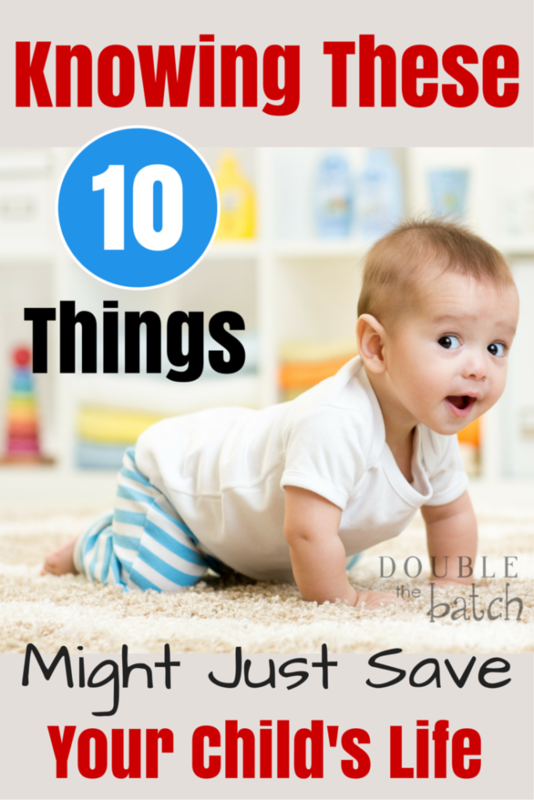 When my baby starts crawling, my worry-o-meter always spikes, and I’m constantly on the look out for choking hazards and any other danger they might run into as they roam about the house. I recently reviewed the updated CPR procedure for babies just so I could be ready should the worst happen. As I was doing that, I was thinking it would be nice to have all the up-to-date information on child safety in one place so I could review it until I am familiar with it. I know it gives me greater peace of mind knowing beforehand how to respond to each situation. The truth is, when our babies encounter a dangerous situation, our swift action could mean the difference between life and death. Here are 10 ways you can save your child’s life if you are armed with information and ready to act when a dangerous situation arises. Before we begin talking about what to do in each of these situations, I just want to say that prevention should always be the first priority. Lock those cabinets, put child locks on door handles, put away the tiny toys and objects, try to keep your floors clean, secure dressers to walls, keep TV’s out of reach, lock access to pools, and just keep a close eye on your little friends in general. But as every parent knows, despite our best efforts, accidents can and will happen. So, it is best to be prepared when the moment arrives. This post is not meant to make you paranoid and stressed out. Just the opposite– it is meant to arm you with information in order to ease your fears. Disclaimer: I am a nurse and a mother of 5 boys. I have experienced many of these situations below. However this does not replace the professional advice your doctor can give you. I highly recommend that you review this list with your doctor to see if there is anything they would add or change. 1-What to do if your child is choking. If your child swallows something that causes them to cough, gag, stop breathing, turn blue, or go unconscious, your quick action can save their life. It is NOT recommended that you put your finger in your child’s throat to try to clear the blockage. In many cases, you may make matters worse by doing so. If your baby is coughing and gagging, but still breathing, don’t interfere. Let their body do its job and force the object out. On some occasions, after a particularly severe coughing or gagging episode resolves, if you do not see anything come of of their mouth, take them to the ER just to be safe. My daughter put a tiny screw she found in the carpet in her mouth when she was 4 years old. I heard her coughing and gagging violently, and then after a while she stopped and seemed to be ok. But, she told me she swallowed a screw, so I was not ok. I took her in to make sure everything was alright and they did a chest x-ray. Sure enough, that little screw ended up in her lung and we took a trip to the children’s hospital where they put her under and scoped it out. Four years later the exact same thing happened to my 8-year-old nephew. It could have caused serious problems if we hadn’t gone to the hospital. Follow your gut instinct and go to the hospital when things don’t seem right. Now, if your choking child stops breathing, it is time to act. This video by Surviving Infancy is a great comprehensive review of how to respond when a baby or child is choking. 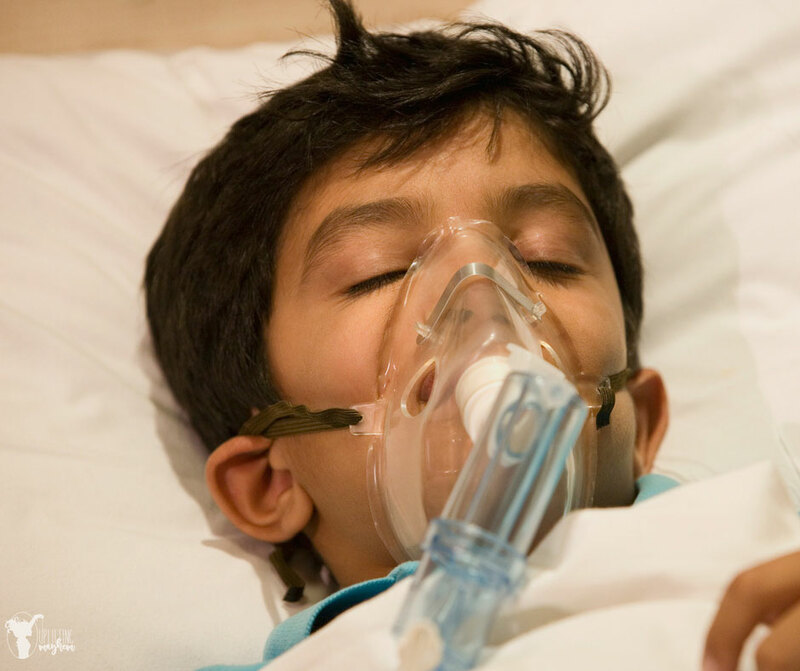 2- What to do if your child stops breathing. This most often occurs from choking or drowning, but there are other causes as well. If your child stops breathing, immediately call 911 and start performing infant CPR. Here is an updated and DETAILED post of the latest practices when it comes to CPR. If you child is pulled from the water and was drowning, check this post out. It has detailed instruction on what to do in a drowning situation. REMEMBER…knowledge is power and it is our duty as parents to be educated in these situations. 3- Dry Drowning and Secondary Drowning. Dry drowning and secondary drowning have become more well known as parents, who have experienced it, have a desire to share and spread awareness. These are rare, but it is important for you to know the warning signs so you can take your child into the ER if needed. Dry drowning is when someone takes in a small amount of water through his or her nose and/or mouth, causing the vocal cords to spasm. This causes the throat to close up. This usually happens as someone is getting out of the water. Secondary drowning is when water gets into the lungs and begins to irritate the inner lining. Fluid begins to back up making it difficult or impossible for oxygen and carbon dioxide to exchange. Secondary drowning can occur up to 2 hours after the child has been in the water. Signs you need to take your child in is persistent coughing, chest pain, or trouble breathing. Also if your child was happy and had lots of energy in the pool and a short time later they are very sleepy, forgetful or a change of behavior, these are also signs you need to go into the ER. 4- Your Child Swallows Some Kind of Poison. If your child stops breathing, is convulsing, or unconscious after ingesting something call 911. If they don’t have those symptoms, call 1-800-222-1222. This will connect you to a poison expert in your area who is available to help 24 hours a day. I have called poison control multiple times for my boys, from swallowing a button battery to eating poisonous berries. Each time they were a huge help and never made me feel like I was a bad mom. They give you peace of mind and direct direction. DO NOT try and make your child vomit. This will most likely cause more damage. Keep the container of what was ingested by your child so you can give the expert or the doctor as much information as possible. 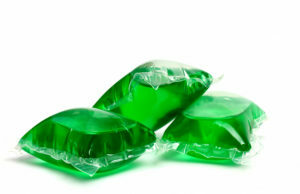 Take note that these colorful detergent packets are often the culprit. Kids mistake them for candy and eat them. Be sure to keep them and any other dangerous but enticing looking cleaners in a locked cabinet. This site gives more information on what to do if your child’s skin or eyes come in contact with poison or if they inhale poisonous fumes. 5- Your Child Falls and Hits Their Head. The first thing to watch for are signs of a concussion. When your child’s head hits something hard, their brain continues to move forward until it slams on the inside of their skull leaving a bruise. At times it can be even more severe if a bleed starts. Here are signs you need to watch for. -brief loss of consciousness, memory problems, confusion, drowsiness, dizziness, double or blurred vision, headache, ringing in the ears. Some of these are not something you will be able to see in a baby so to be on the safe side, take your baby in to be checked. With children old enough to talk, if you notice any of the above symptoms, take your child to an Instacare or ER to be evaluated. Most of the time, these types of injuries will resolve themselves, but you will want a medical professional to determine how severe of an injury they are suffering and what care they need. In rare cases, there could be bleeding or swelling inside that you can’t see and this can make things much more serious. 6- Your Child Swallows a Small, Pill-Shaped Disc Battery. Vomiting, gagging, abdominal pain, low-grade fever, irritability, persistent drooling, difficulty breathing if it is blocking the airway, a rash, or bloody stools. 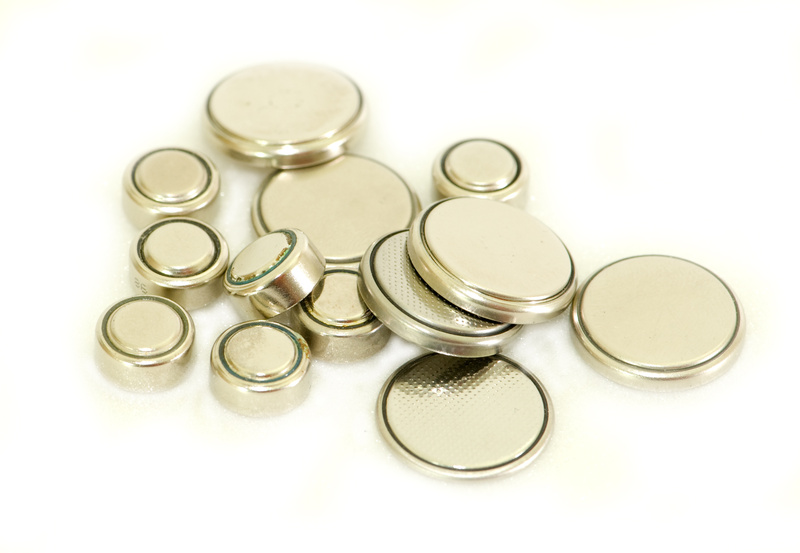 Because these batteries can eat through the esophagus, trachea and whatever else it comes in contact with within a couple hours, immediate medical attention is needed if one is swallowed. 7- Your Child Swallows Small Magnets. 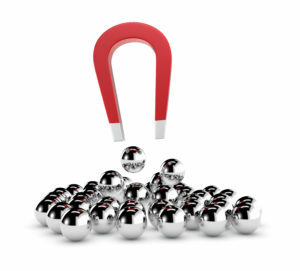 The magnets made today are much stronger than in the past. Tiny magnets are common in many games and toys on the market today. It is very tempting for little kids to put these in their mouths. 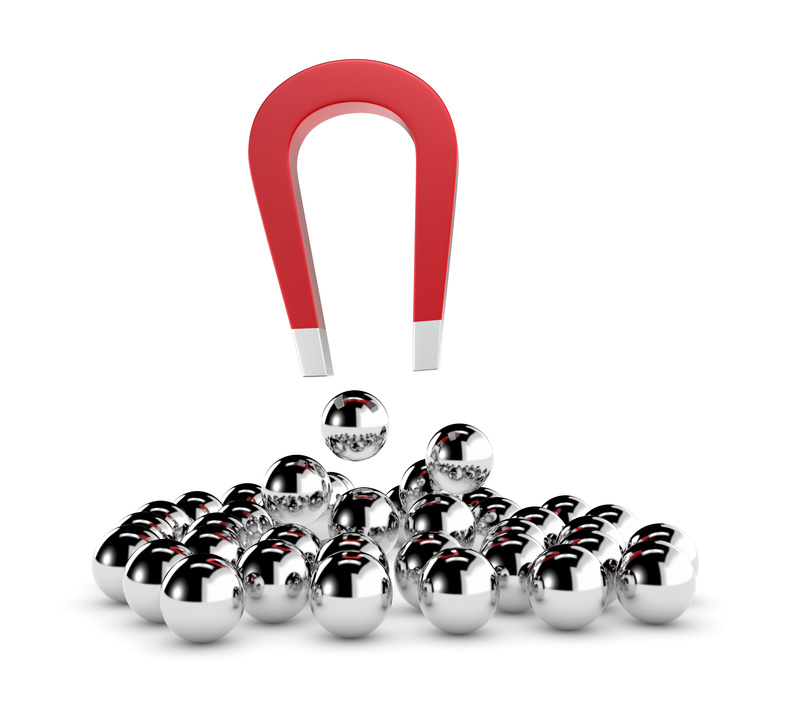 If more than one magnet is swallowed, they can stick to each other while located in different parts of the intestine causing a perforation. This one is a little tricky to pick up on because symptoms might not show up for a day or two. Your child will experience nausea, vomiting, and abdominal pain if their intestine gets blocked. Their condition could worsen to severe shock and loss of consciousness if nothing is done, and death can be the result. If you suspect your child has swallowed magnets, experts advise that you take them immediately to the ER. This one is not life-threatening except maybe in extreme cases. And this isn’t a what to do if an accident occurs- it is a what to do to prevent an accident. DO NOT go down a slide with your child on your lap unless you can rest their ENTIRE leg and foot on your lap. If their shoes can come in contact with the slide, the rubber can get stuck to the plastic, but the force of your body going down the slide with them can push them forward leaving their foot behind, resulting in a broken leg. I know! I had know idea this could be a problem. You think you are making it safer to go down with your kid, but apparently not. As your baby’s diet starts to expand, you may start to discover they have food allergies. If your baby or child has difficulty breathing, tightness in the throat, difficulty speaking, wheezing, coughing, congestion, a fast heartbeat, or itchy skin after eating something, take them into the ER. Watch for trends and patterns when your child does get a reaction. If they get a rash, note what they were doing and what they were eating. This will help you narrow down what culprit is so you can avoid it faster. My son ate some fresh pecans while we were visiting Mexico one year. His face blew up like a balloon and his eyes were swollen shut. Thankfully, he was not having any difficulty breathing, so we gave him some Benadryl and watched him closely. The swelling eventually went away. Zyrtec is another medication that is good for NON LIFE THREATENING ALLERGIES like seasonal allerigies, hives, rashes and mild swelling. As always though, please consult your doctor for the best option for your child. Your child may have a serious enough food allergy to where you may need to carry an epinephrine pen around with you. Should another reaction occur, call 911 and give your child the shot. 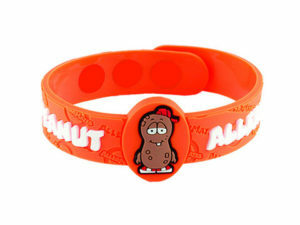 I found a great company called Allermates that makes bracelets kids can wear to remind teachers and caregivers of their allergies so they can avoid accidentally giving them foods that will cause a reaction. 10- Your Child is Bleeding Profusely. My brother is an ER doctor who served in the Air Force. He said they had a 98 percent success rate in saving the lives of soldiers, if the people on scene could just stop the bleeding before they were sent on to the hospital. Knowing how to stop bleeding is a critical skill that could save your child’s life in the event of a serious accident. My friend’s son dropped a plate in the kitchen last week and a piece of it sliced a vein in his foot. It was bleeding everywhere and she had to try to get it under control so she could take him to the hospital. For any type of cut apply direct pressure with some clean gauze or another clean material. If the bleeding goes through the gauze or material DO NOT REMOVE THE DRESSING, but add another dressing on top and continue to do so until bleeding stops. This is certainly not an exhaustive list, but I hope it covered enough ground that you will be able to respond quickly and effectively in the unfortunate even that one of these problems arises with your child. Keeping them safe is our highest priority and the more we know, the more effective we will be in emergency situations involving our kids. What would you add to this list from your own experiences?